School is fast approaching for us and it’s already started for some so I thought I’d share a fun (occasional) breakfast option. I made them a few Saturdays ago and the girls thought I’d lost my mind making such a sinful treat for breakfast! They were positively giddy, hugging each other and giggling like they do. I think it’s funny that people automatically assume that because something is chocolate, it’s somehow “worse” for you. It’s been proven, and well publicized, that cocoa powder and dark chocolate are not bad for you, quite the opposite in fact when eaten in moderation, yet the perception remains. The truth is, the amount of sugar, starch (think white flour) and fat are the more determining factors when it comes to nutritional value. 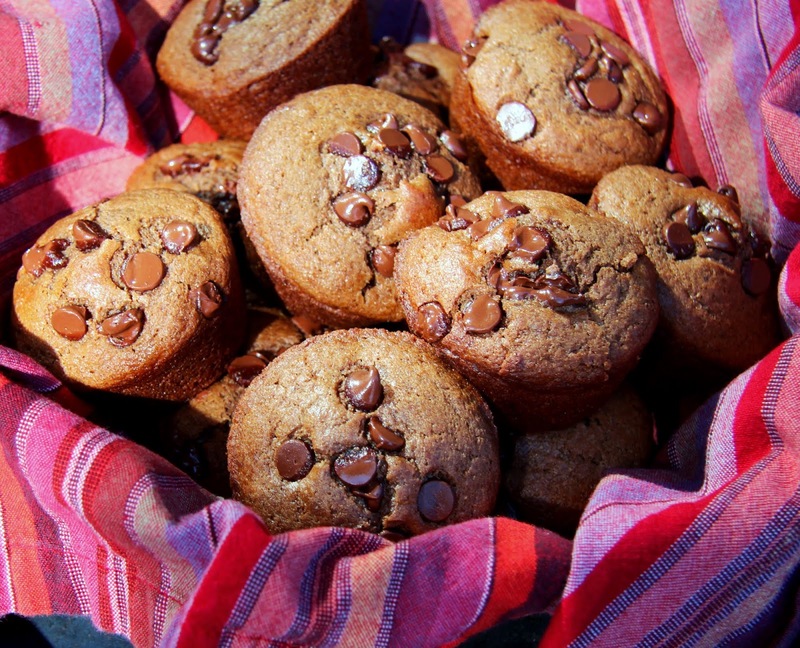 Let’s face it, any sort of muffins, scones or other baked goods are not the best choice for breakfast but, depending on the other ingredients, the chocolate ones are certainly no worse than the cinnamon. So, go ahead and enjoy some chocolate in the morning for a special treat! I’ve been doing it for years and I feel so good about it I’m passing the tradition on to my girls. This is Nigella Lawson’s recipe but I made a few adjustments, as I tend to do, to make it slightly more healthful (just don’t tell the girls). 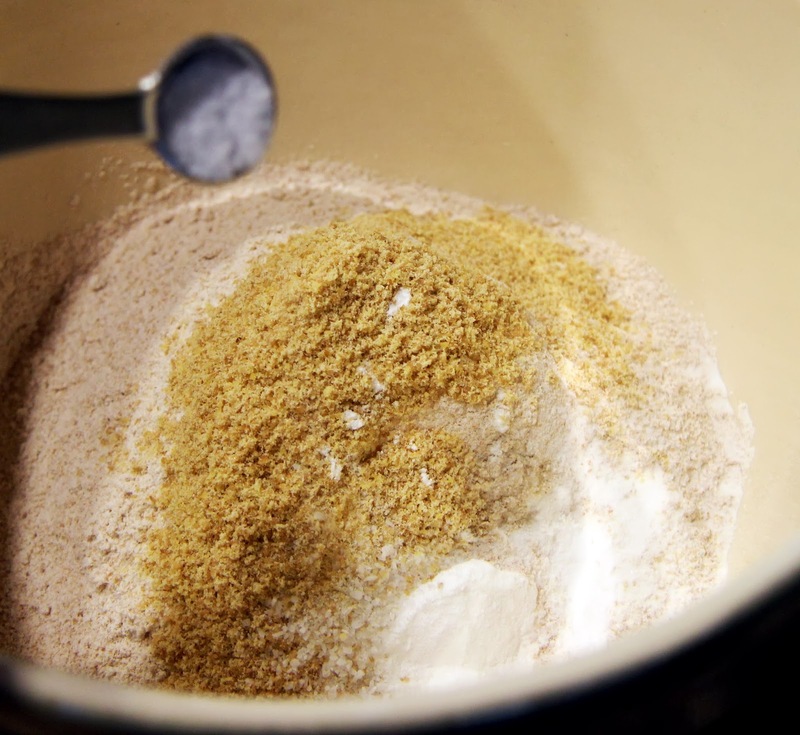 The addition of flax meal and the use of whole wheat flour add more fiber and protein to the muffins which helps to slow the impact of the sugar in your blood stream, as does the good fat in the coconut oil. I was out of coconut sugar but next time I will use that for it’s lower glycemic load as well. Slowing that sugar down is always a good idea because that’s what causes inflammation and weight gain and all sorts of not so lovely things. In my case, as a special bonus, I tend to break out like a teenager when I’m on sugar overload – not exactly the youthful look I’m going for. Therefore good fats and fiber (especially fiber!) are your friends when eating anything sugary or starchy. I’ve read lots of books on the subject but my favorite is called “The Glycemic-Load Diet” by Rob Thompson. Even though it has that four letter word in the title (diet! ), I found it to be more of a good guide than an actual diet to follow and I recommend it if you want to learn more about how different foods and food combinations impact your blood sugar levels. 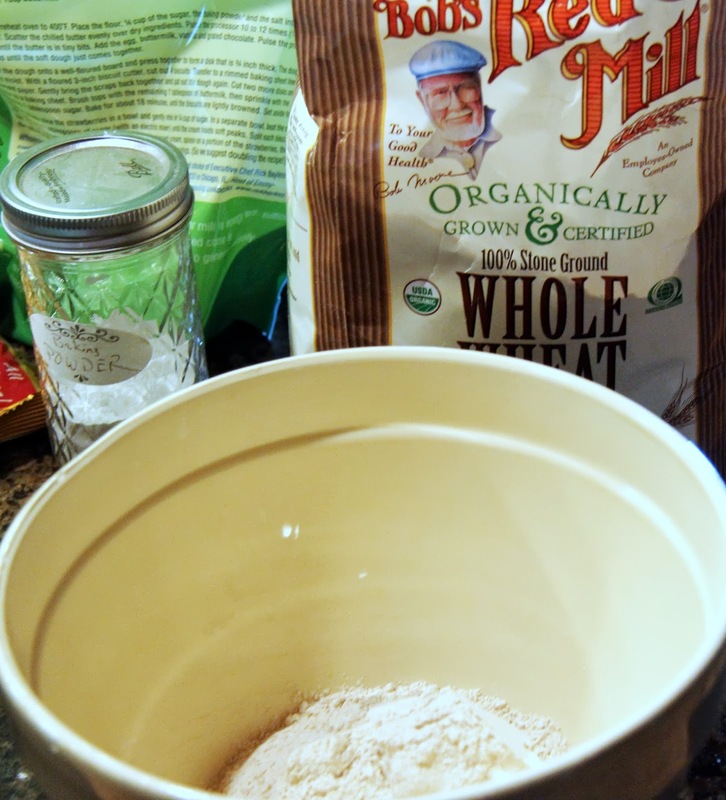 Moving on… Let’s make the muffins! I will give you Nigella’s original recipe and indicate the substitutions I made within parentheses so you can decide what ingredients you’d rather use. 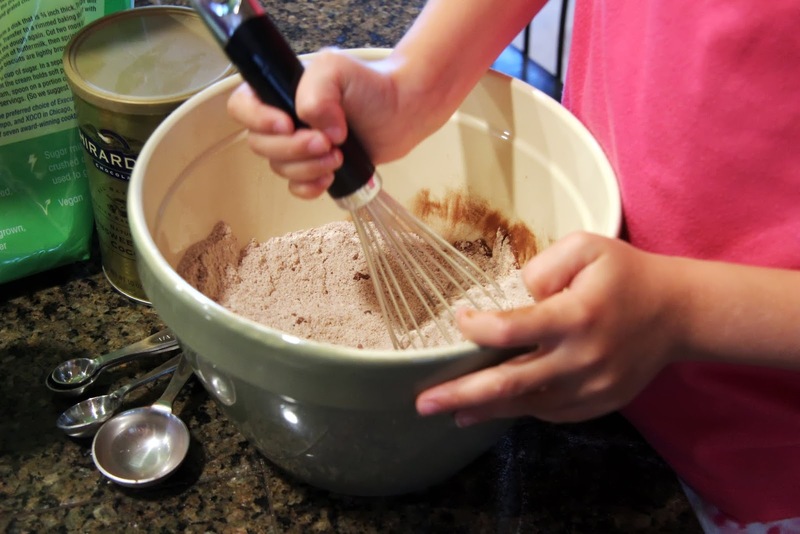 Just don’t mess with the baking powder or baking soda – you’ll be sorry. These are best served warm but good to throw in a lunch box too! Preheat oven to 400 degrees. 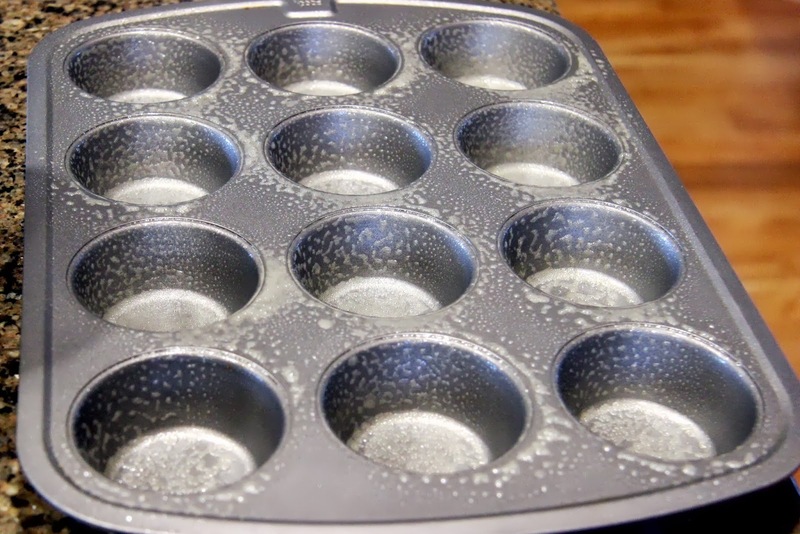 Spray muffin tin with nonstick spray or use paper muffin cases. 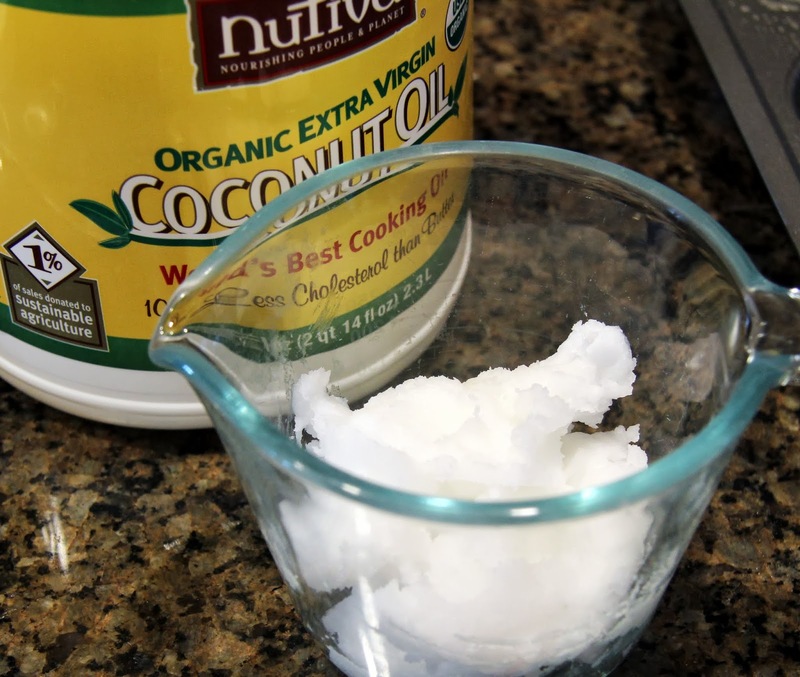 Melt the coconut oil (if that’s what you’re using) in the microwave until it’s two thirds of the way melted then stir to melt the rest. This should ensure it’s not too hot. 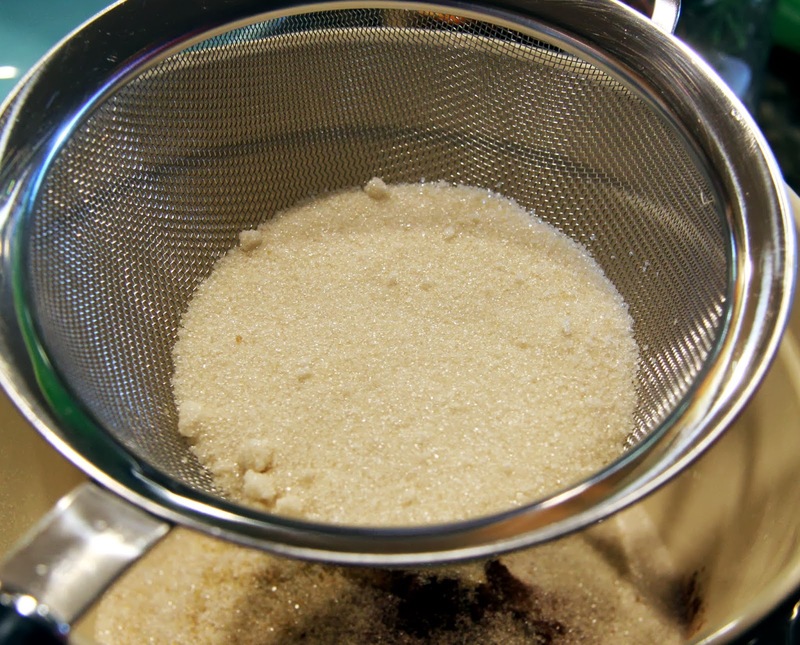 Place all the dry ingredients listed from the flour to the sugar in a large mixing bowl. 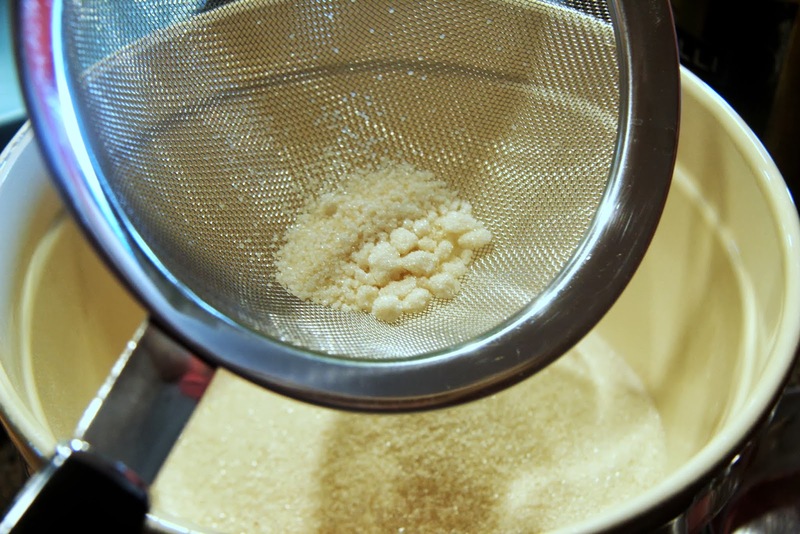 If you are using a less refined sugar, you may need to sift it to break down or remove any large chunks. I used the organic evaporated cane juice I buy at Costco. Fancy name but it’s really just less processed sugar. 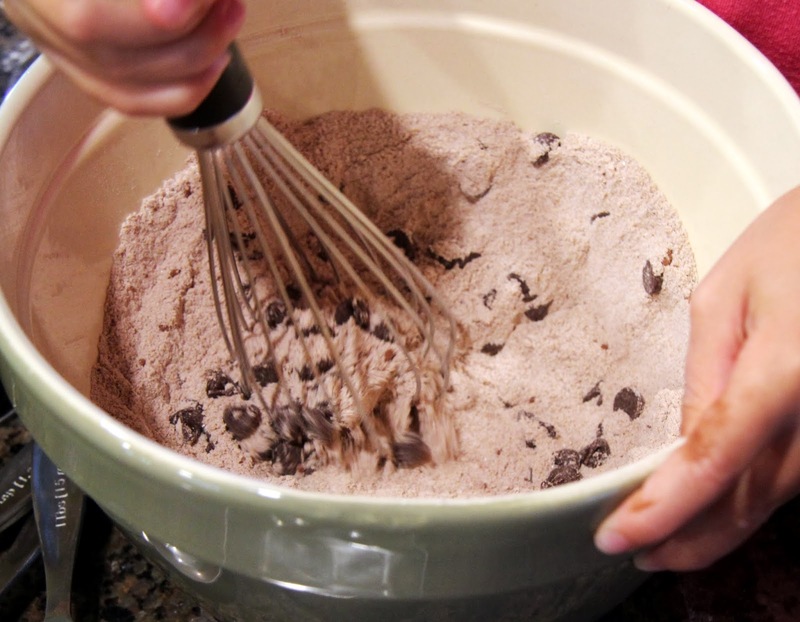 Stir in 3/4 cup semisweet chocolate chips. Mix together milk, oil, egg and vanilla. 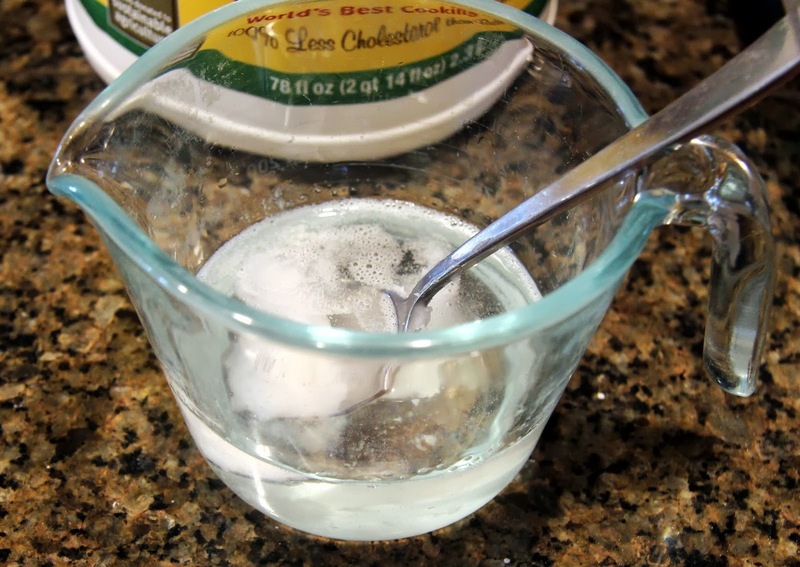 If you are using melted coconut oil, try to make sure all the ingredients are at room temp (you can zap the milk in the microwave for a minute) so that the oil doesn’t harden up too much, a little chunky texture is fine. 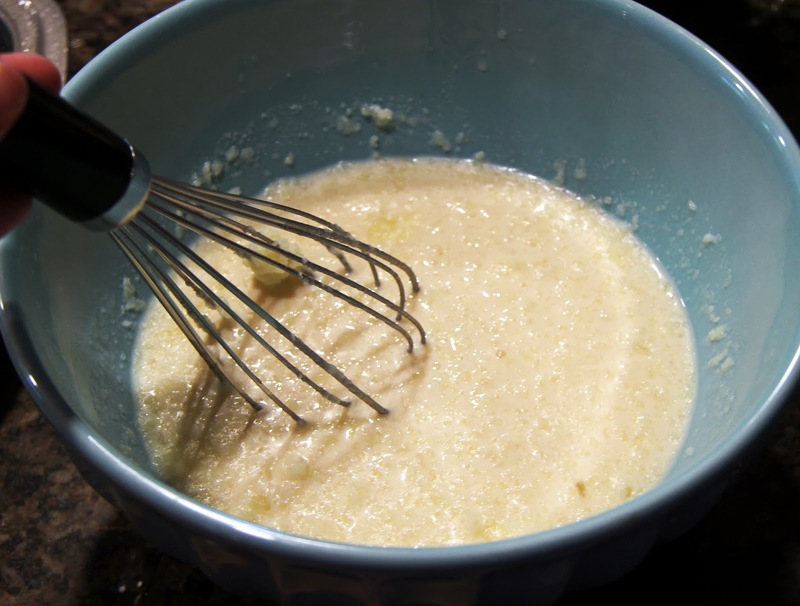 Add the wet ingredients to the dry and whisk until combined. 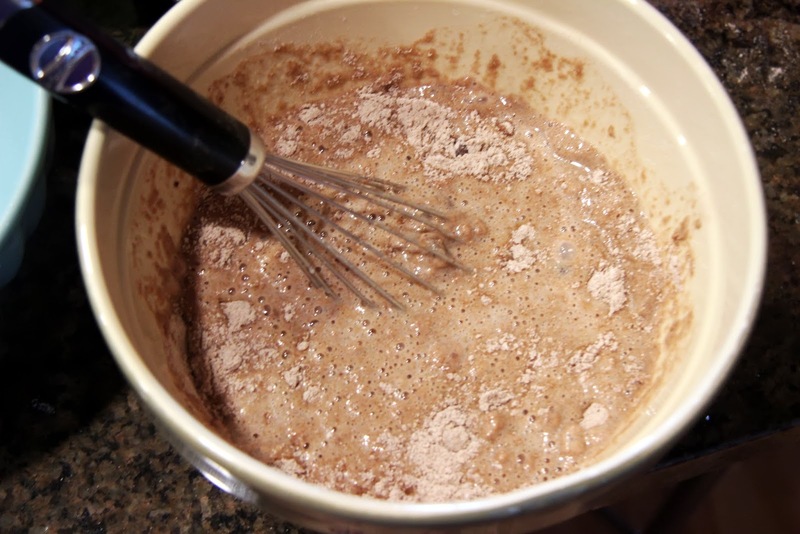 Do not over mix though, a few lumps in the batter are good when it comes to muffins. 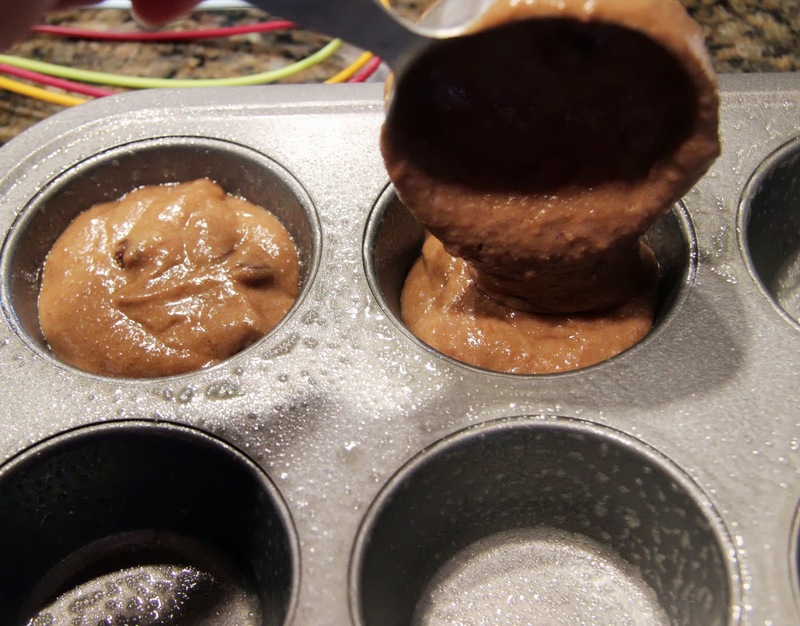 Fill each muffin tin 3/4 full of batter. 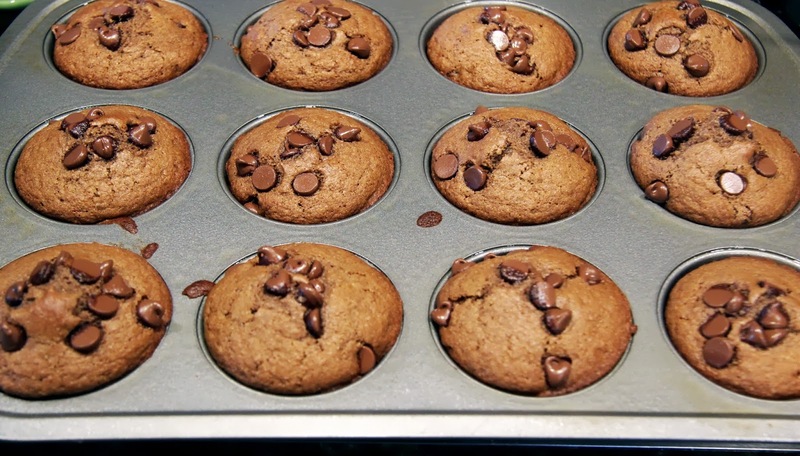 Sprinkle remaining 1/4 cup chocolate chips over the muffins just before baking. Bake 15 – 20 minutes or until they spring back when pressed with your index finger. 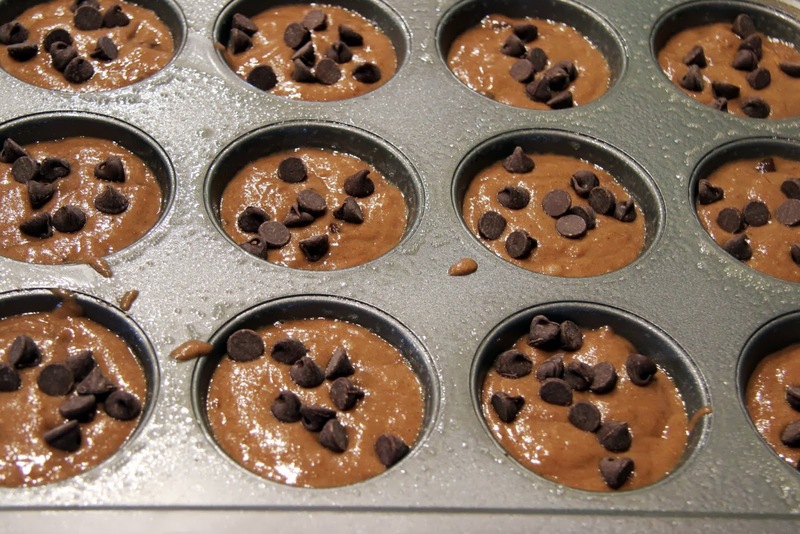 Remove muffins from pan and cool slightly before serving. My niece, Alicia, the one who always pleaded with me to write down my recipes and is the main inspiration for this blog, got married last weekend. I could not be happier for her and her new husband (and my new nephew! ), Sean. The day was lovely and perfect and I’m confident their marriage will be perfectly imperfect, just as it should be. You shall be together when white wings of death scatters your days.